The PFD-16x24-HDA Pathfinder Component & Audio Matrix Switcher from FSR is designed to offer 16 inputs and 24 outputs of matrix switching capability for component and stereo audio signals. It is well suited for use in video & control rooms, educational institutions, government offices, and houses of worship, among many other possible settings and applications. 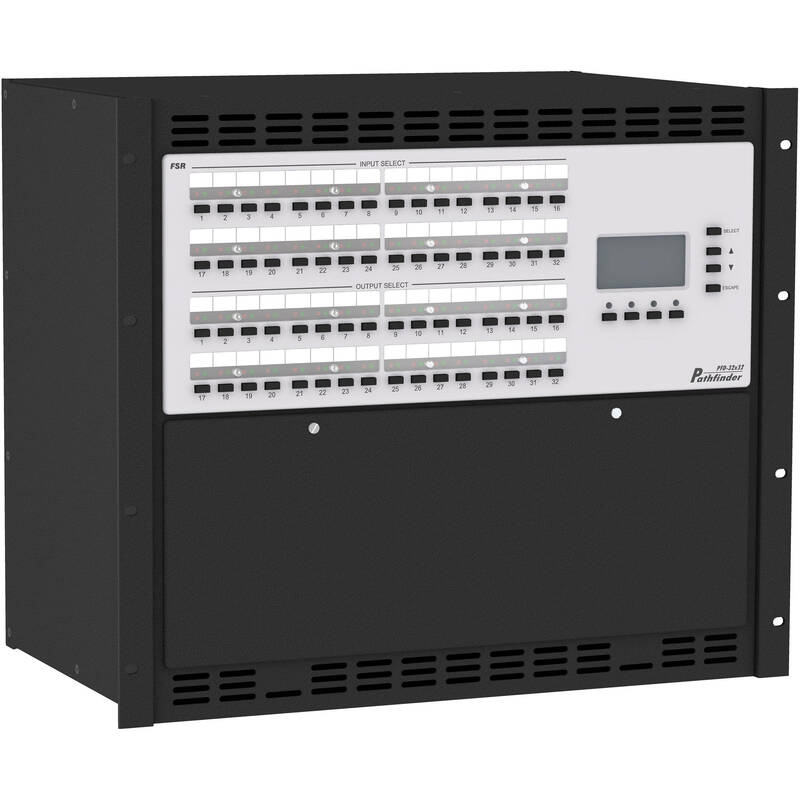 This unit is designed to provide 16x24 matrix switching of component and stereo audio signals. Stereo audio support provides balanced and unbalanced stereo audio switching with independent input trim control and output volume control. Independent input gain switches allow unity or +14dB gain settings for each input to maintain optimal signal-to-noise ratio.